This type of power supply has a thyristor primary side regulation. 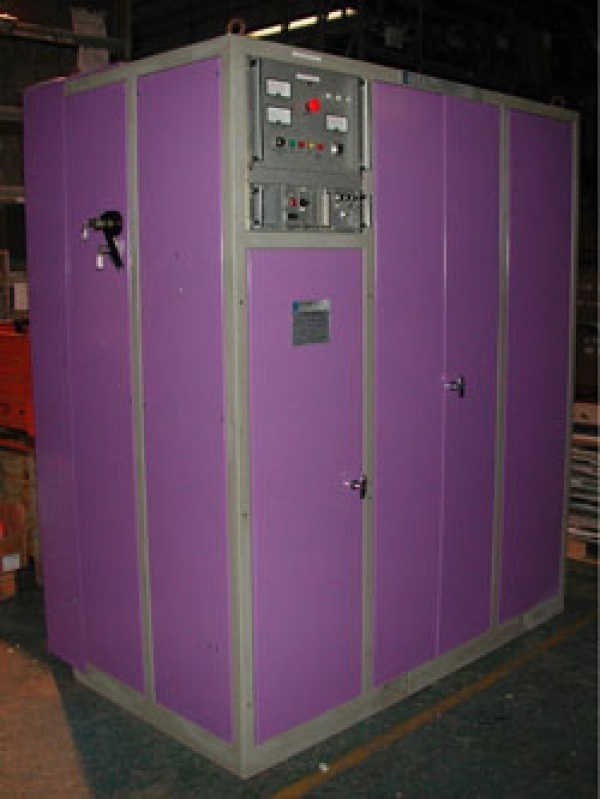 It is a topology which is suited for high voltage supply and there is no practical power limit to this solution. Output stability, including ripple can be further improved on request. The solution can be proposed in the range from 10kW up to 2MW. For the highest power range a 12 pulse rectifier solution is suggested in order to reduce the harmonic content taken from the line. Due to its high reliability, since 1977 up to nowadays this topology of power supply has been successfully commissioned to CERN, CNAO, Juelich, INFN Catania, and other important European laboratories.